Aguaded Gomez, Jose Ignacio; Diaz Gomez, Rocio;. 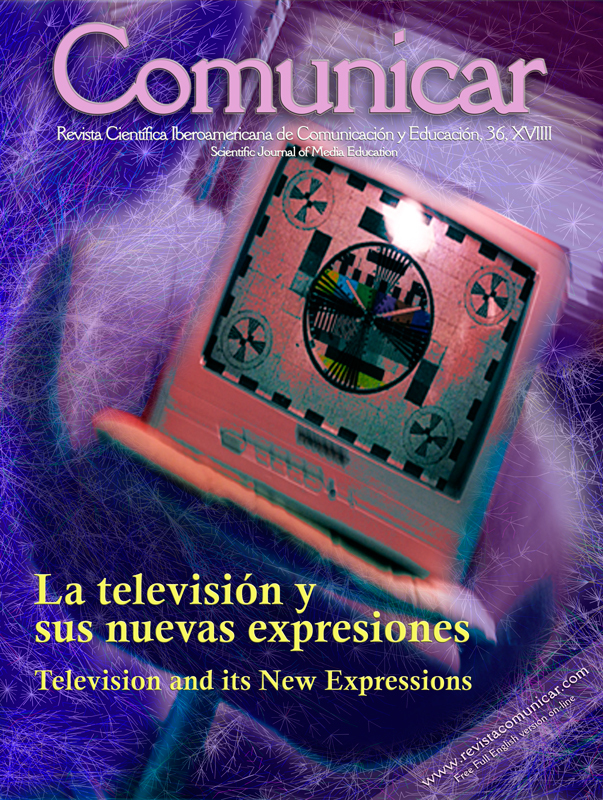 Educating critical TV viewers in secondary school REVISTA LATINA DE COMUNICACION SOCIAL , 2008. Andrada Sola; Pablo;. State of the art in teacher training in media education COMUNICACION Y MEDIOS , 2015. Avila-Melendez, Lilia-Rosa; Cortes-Montalvo, Jorge-Abelardo;. 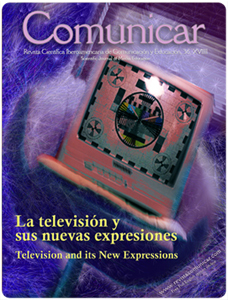 Critical use of media in higher education REVISTA MEDITERRANEA COMUNICACION-JOURNAL OF COMMUNICATION , 2018. Benito del Valle, Lamberto Luis; Guenaga Garay, Galder; Renteria-Uriarte, Xabier;. REPORTING RESEARCH RESULTS AND ITS RELATION WITH ACADEMIC RESEARCHER'S JOB SATISFACTION AND WORKING FACILITIES ARBOR-CIENCIA PENSAMIENTO Y CULTURA , 2016. Cueva Estrada, Jorge; Sumba Nacipucha, Nicolas; Lopez Chila, Roberto;. The use of QR codes: an alternative tool in educational technology REVISTA PUBLICANDO , 2018.
de Foy, Caroline Philippart; D'Angelo, Edoardo;. The Latin hagiography of Southern Umbria: linguistic statistics and proximity drafting STUDI MEDIEVALI , 2013. Tome, Vitor; Menezes, Maria Helena; Miranda, Guilhermina;. Training citizens in the Age of Digital Media ACTAS DE LA III CONFERENCIA IBERICA DE SISTEMAS Y TECNOLOGIAS DE LA INFORMACION, VOL 1 , 2008.